would like to ask if anyone know how to recalculate the position of the dropdown of the user menu for this module. The modules works in the way that it opens up a user panel in dropdown when clicked. 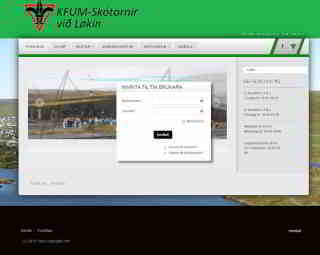 On our website we positioned this at the bottom right, so that the login is less visible for guests. But this also works a little stupid since the dropdown drops further than the footer, making the background color visible for the increased height. The element auto calculates the top depending on the how big the page is, so it is always positioned below the "Hey, username" link. Would like to get this to be calculated to be above the "Hey, username" link instead of below. It will of course look a little weird having a dropdown coming from above the link instead of below, but I think it will work better. This will basically move the login box 350px (the default height) upwards of its original position.